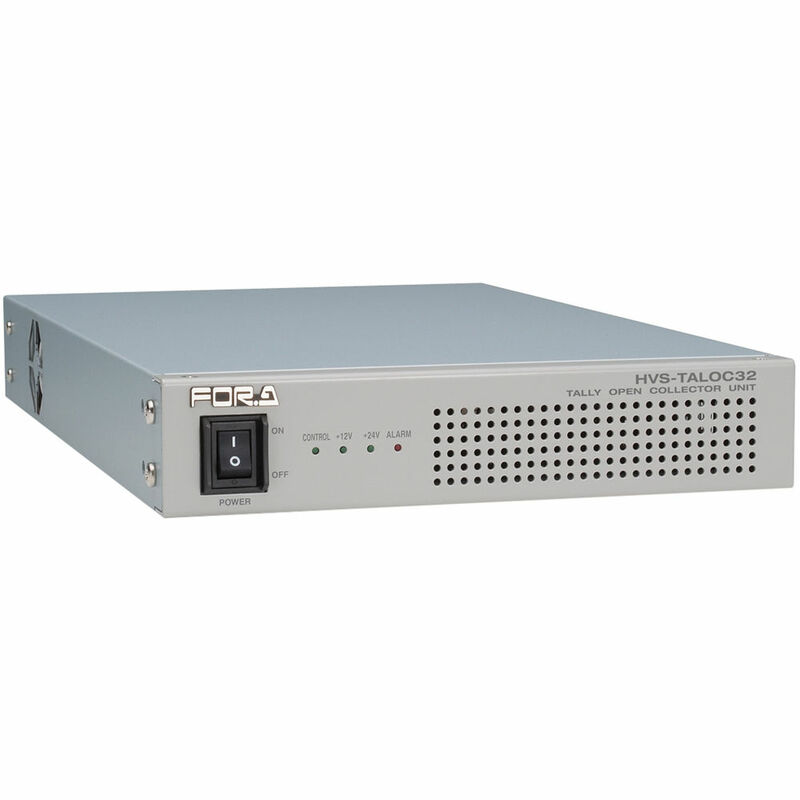 The HVS-TALOC32 Tally Open Collector Unit for HVS-1000HS from For.A is a unit designed specifically for use with the HVS-1000HS 1M/E HANABI HD/SD Portable Digital Video Switcher. It provides (32) tally open collectors. Use this unit with the HVS-1000HS 1M/E HANABI HD/SD Portable Digital Video Switcher to provide (32) tally open collectors.